It was a cold day outside with wind chill temperatures below 0 degrees F. Needless to say, we didn’t have anyone out in the gardens but the progress with taking down the Holiday Lights Show (HLS) has gone very well over the last six weeks. It’s hard to believe that last year we had hardly started take down efforts because of the consistently frigid temperatures. I’d estimate that 50% of the show is down but we still have many displays, etc. that are frozen in the ground. 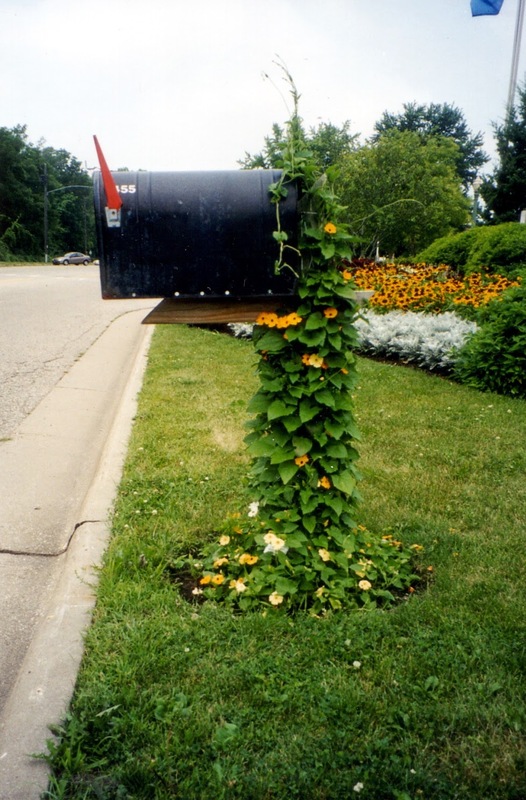 I was able to continue seed ordering today and am finalizing a couple presentations including one for the RBG Spring Symposium entitled Garden Inspirations: The Spice of Life. 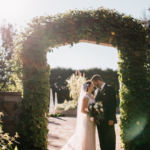 Held on March 21st (9 am – 3 pm), this event will feature Peter Hatch (retired Head of Gardens and Grounds at Thomas Jefferson’s Monticello) and Kyle Cherek (host of Wisconsin Foodie on WPT). Space is filling fast for this event so check it out on our website! Janice came in for various duties including more preparations for our Spring Plant Sale (Mother’s Day weekend!). Pat was in to process lights and we saw a couple others today. 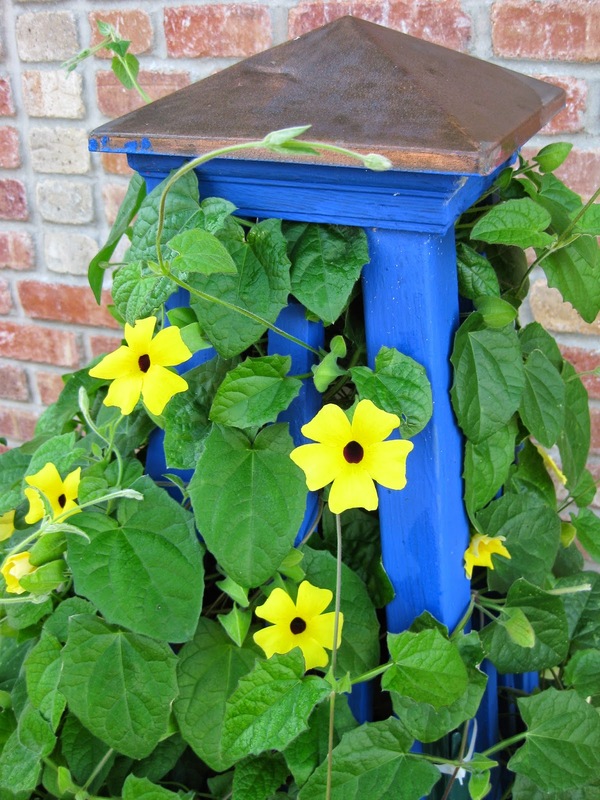 The blog today features the annual black-eyed Susan vine (Thunbergia alata) which has always been a great performer for us at the gardens. 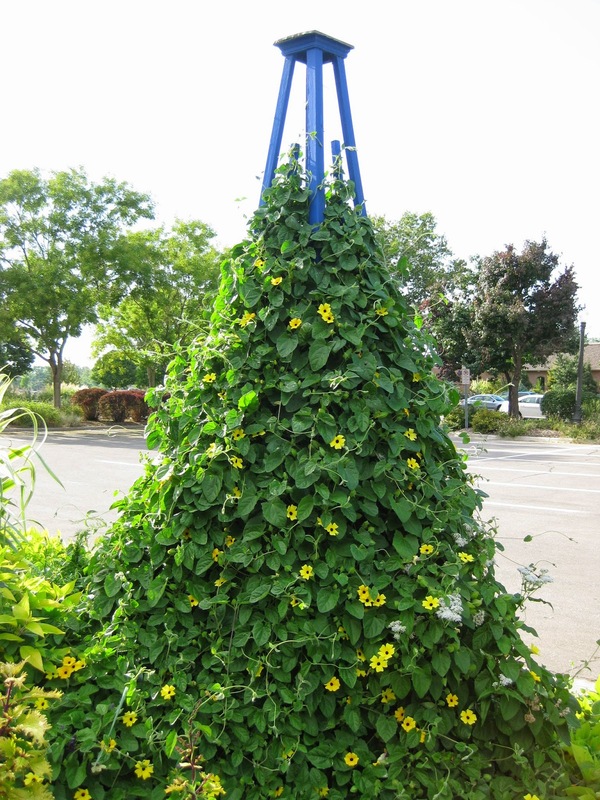 This vine, native to Eastern Africa, does well in our hot summers and will typically get 6′-8′ in one season. 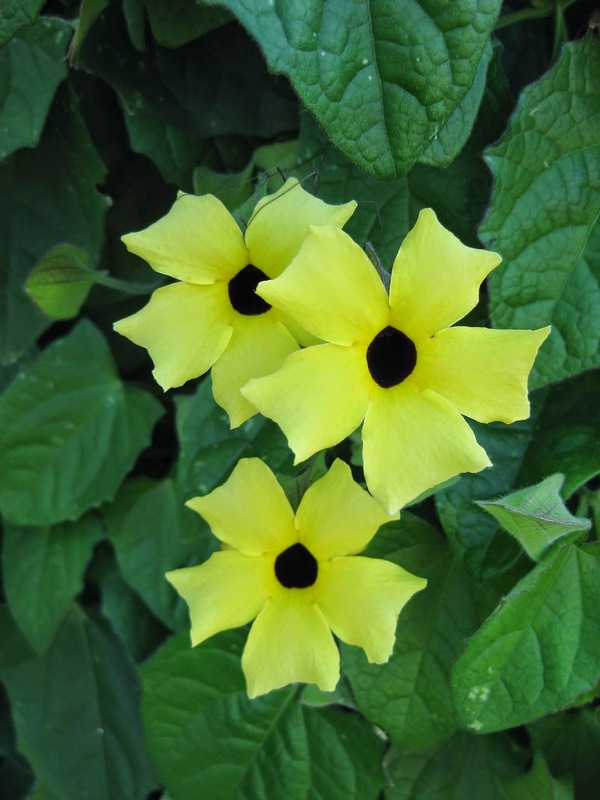 The blooms are reminiscent of the black-eyed Susan with many having yellow or orange flowers with a dark center. 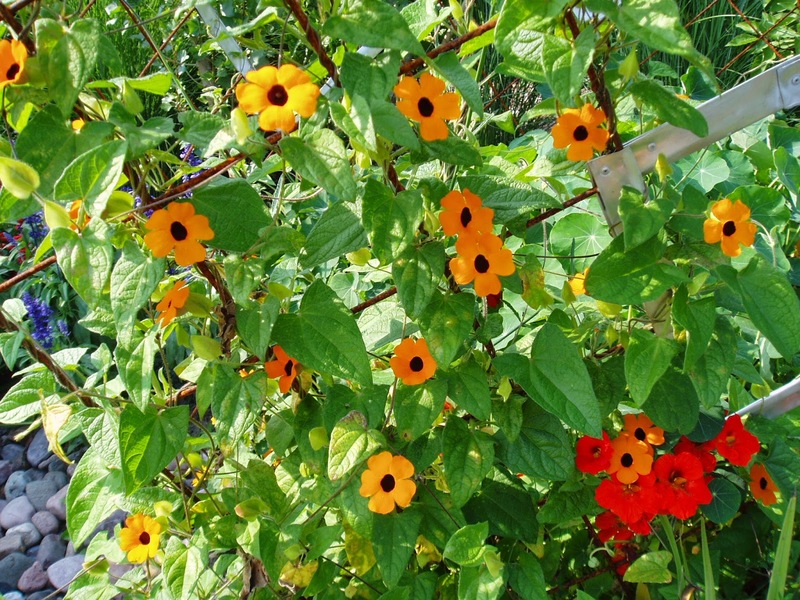 Above is the variety ‘Orange Beauty’ which is quite vivid in the landscape. 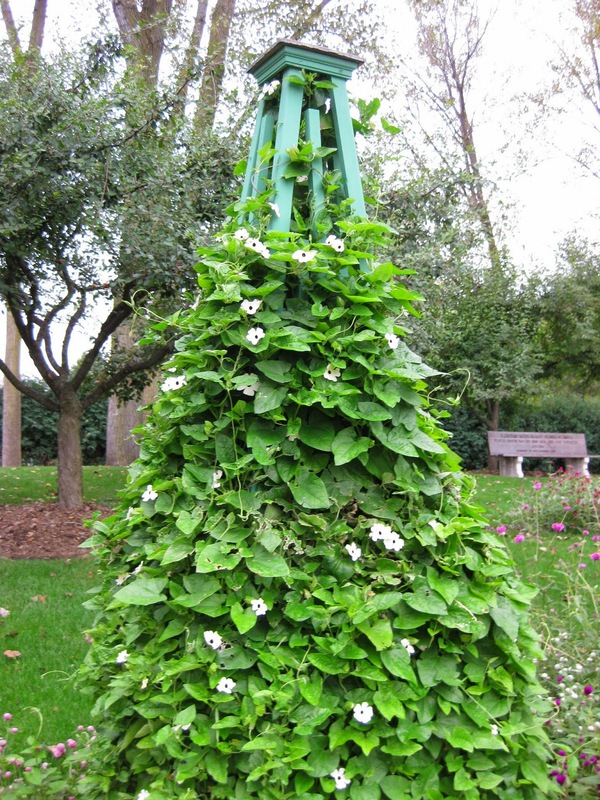 Although this vine has naturalized in warmer climates, it’s a true annual for us and is an excellent twining vine for smaller structures in full sun and with decent soils. 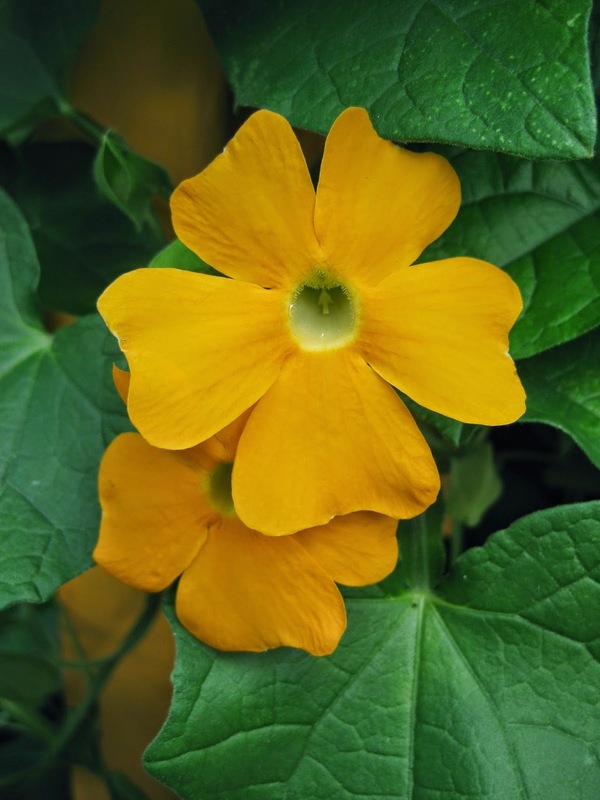 The 5 petal flowers run the range of yellows, oranges, pink, near red and white. There are an unbelievable amount of colors right now including mixes. 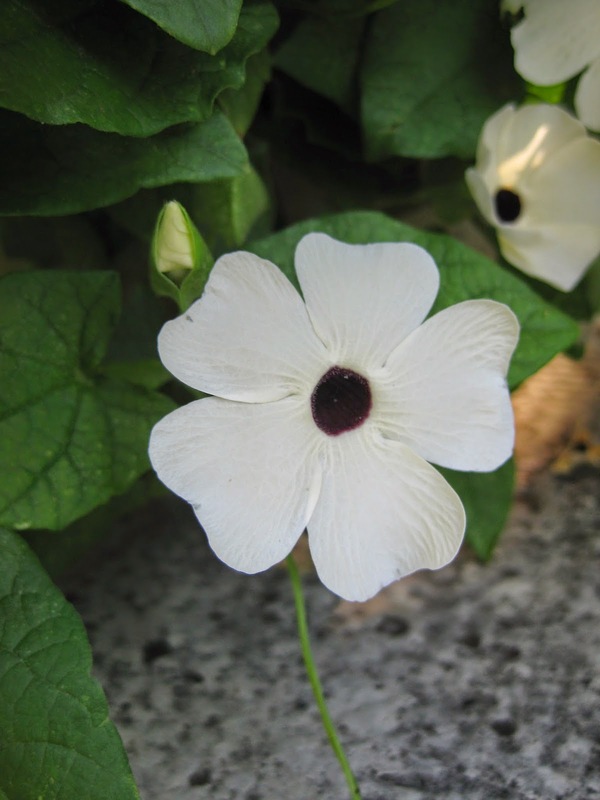 Some have the dark center and some varieties are without that dark throat (or “eye”). 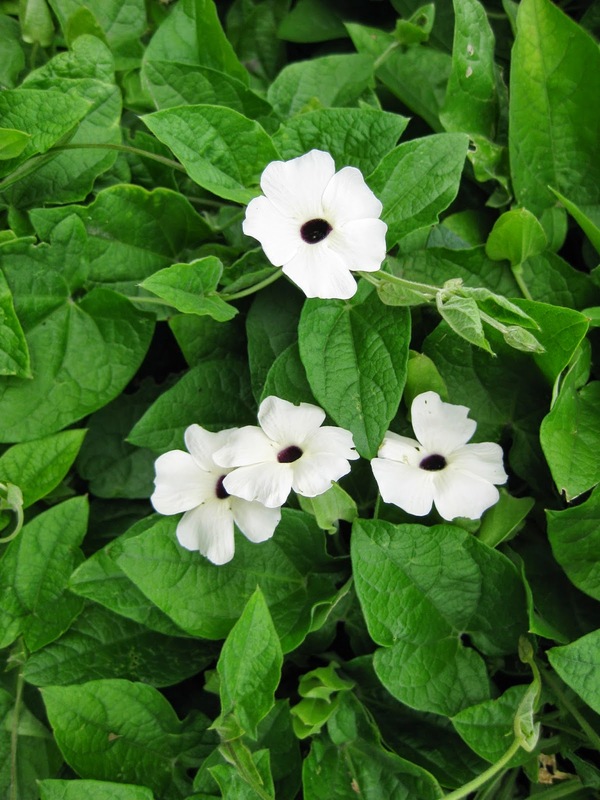 You can find a wide range of these in seed catalogs and some of the fancier new ones are vegetatively propagated so can be sought and bought as plants. Some fun varieties can be seen below.